Music programme featuring performances from contemporary and classic artists. Acts include Bryan Ferry, Paul Rodgers, The War on Drugs, Fuse ODG, Seinabo Sey and Laura Doggett. Joining Jools in the studio we have English singer-songwriter Bryan Ferry performing tracks from his fourteenth solo album, Avonmore. English rock musician Paul Rodgers, famed frontman of Free and Bad Company, plays numbers from The Royal Sessions, his recent Memphis soul album which was recorded at Willie Mitchell's revered Royal Studios. From Philadelphia, we welcome to the studio indie rock outfit The War on Drugs with tracks from their third album, Lost in a Dream. From south London, the infectious afrobeat sounds of Fuse ODG performs a couple of numbers from his upcoming debut album, T.I.N.A. 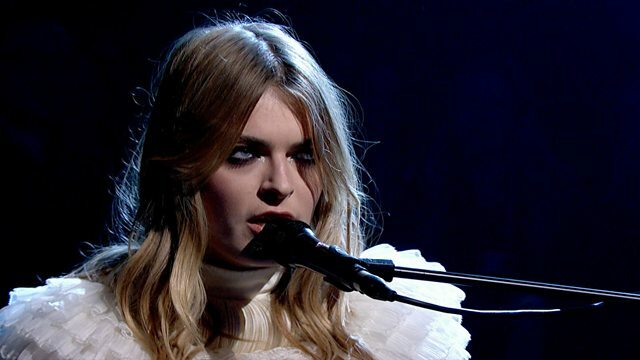 Swedish newcomer Seinabo Sey, debuts her unique soulful electro pop to the Later studio and also making her debut is hotly-tipped Bath singer-songwriter Laura Doggett. Plus Jools chats to Pink Floyd's David Gilmour about the inspiration behind their much anticipated forthcoming and final album, The Endless River. Enjoy the original songs performed on the Autumn 2017 series.